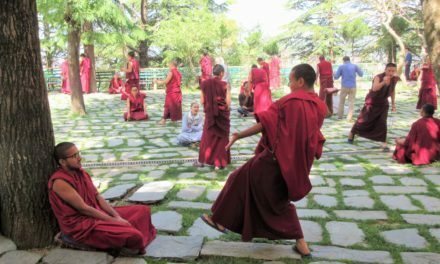 There are plenty of reasons to visit Peru, with Machu Picchu, Lake Titicaca, and the Amazon Rainforest occupying top spots on the list. But what about the food? Peruvian food has been making headlines recently. For the past two years, Peru has been named South America’s Best Culinary Destination at the World Travel Awards, and two Peru-based restaurants were named in San Pellegrino’s list of The World’s 50 Best Restaurants. But even if you don’t have the extra cash to spend at one of those establishments, you can still find delicious, reasonably-priced eats just about anywhere in Peru. Because of the wide variety of ingredients and culinary techniques and traditions, Peruvian cuisine has something for just about everyone. Here are 10 Peruvian foods to sample on your next trip to Peru. 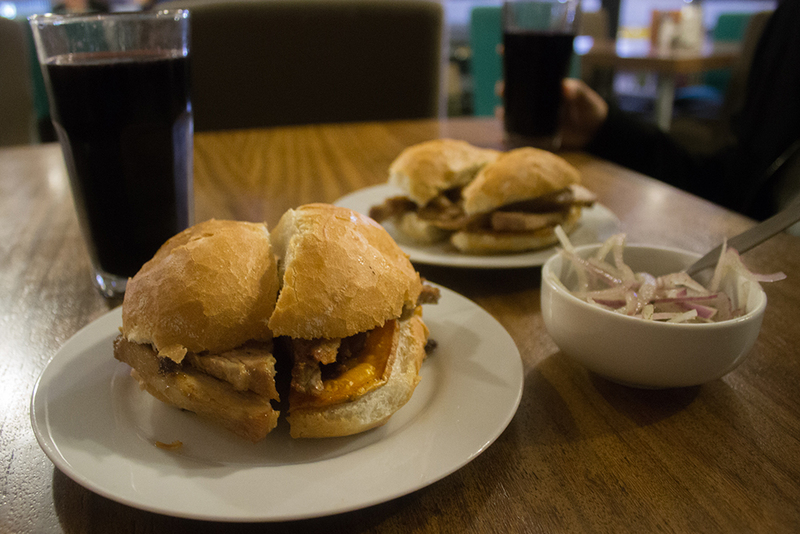 Pan con chicharron is a hearty breakfast dish from the Andes. This sandwich made of tender pieces of deep fried pork and sweet potato is often eaten at breakfast. It is most commonly found in the Andes but exists all over Peru. Don’t forget to add a bit of raw onion salad with chili, salt and lime for extra flavor. A ceviche de pescado, served with crunchy corn, boiled corn and sweet potato. 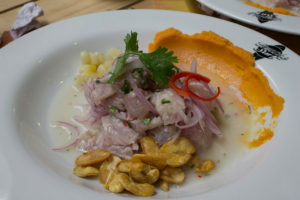 One of the most recognizable Peruvian dishes, ceviche comes in many forms. It’s a raw seafood salad that is drenched in lime and chili, and sometimes other sauces. Sometime, as in the above image, it consists of chopped fish, while in other cases it’s a mix of seafood, including shrimp, squid, octopus and scallops. It’s perfect on a sunny afternoon with a cold beer. 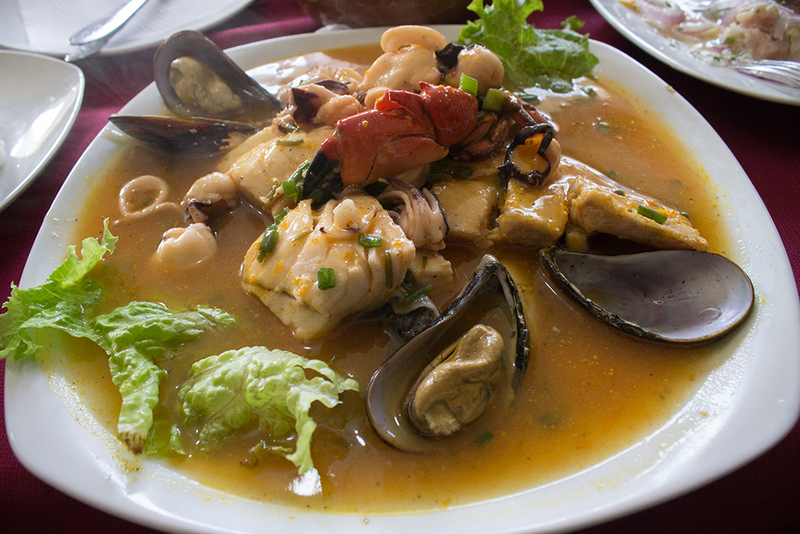 Parihuela is a spicy seafood stew similar to the French bouillabaisse but with attitude. If you prefer your seafood cooked, then parihuela is definitely a better bet. 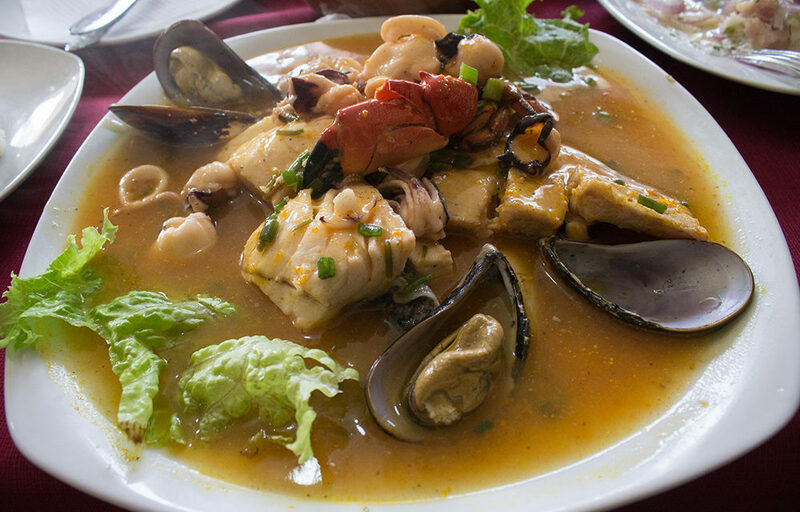 Originating from Peru’s northern coasts, this seafood stew is served piping hot in a spicy broth flavored with red chili. It’s a bit similar the French bouillabaisse, but with more intense flavors. Asado de alpaca with raw onion and potatoes. This roasted alpaca dish is flavored with just a bit of salt and pepper because the meat has a mild, subtle flavor. It’s like a steak, but a little more mellow, and also a lot more tender. 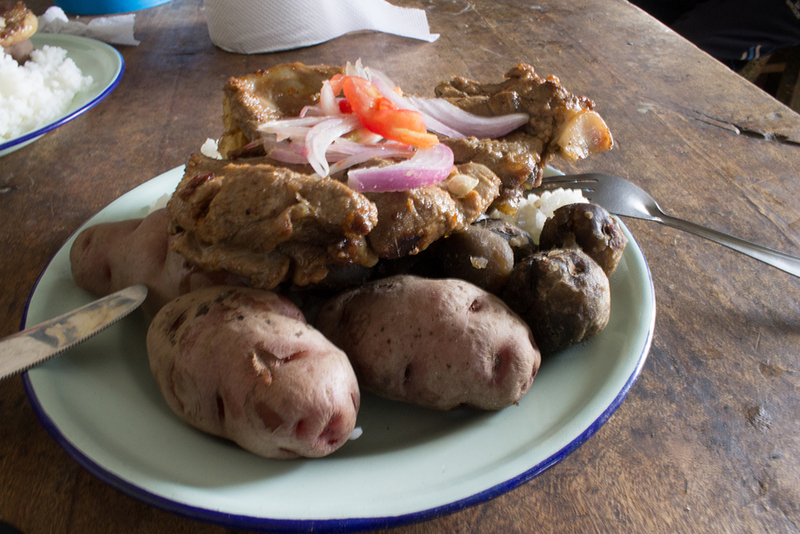 You can usually find asado de alpaca in the Andes, often served with potatoes or rice, and a touch of raw onion on top. 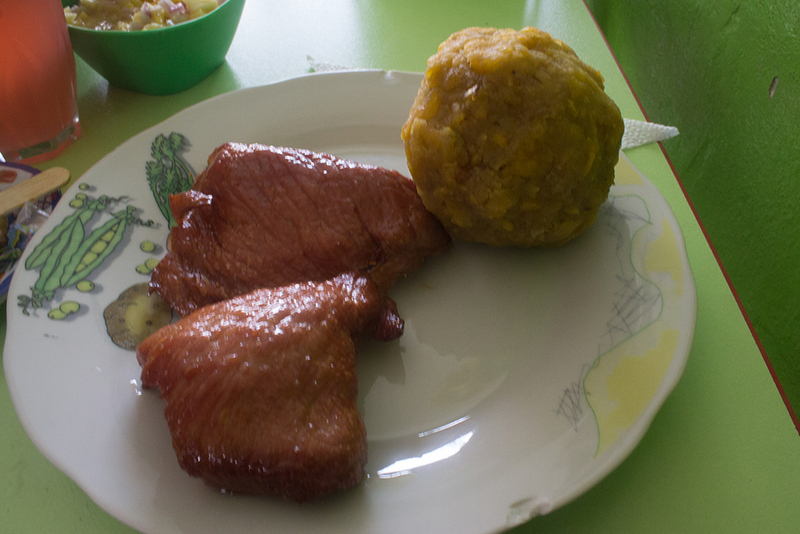 Tacacho con Cecina, a typical dish from Peru’s Amazon region. Cecina is dish from the Amazon region made with pork, or in some cases, tapir. It’s salty and deep-fried, like the best bacon, but without any chewy fat left behind. The accompanying yellow blob is called tacacho, which is mashed plantain that has been fried in the grease left behind from the cecina and then rolled into a ball. Try not to think about what all of this is doing to your cholesterol levels! 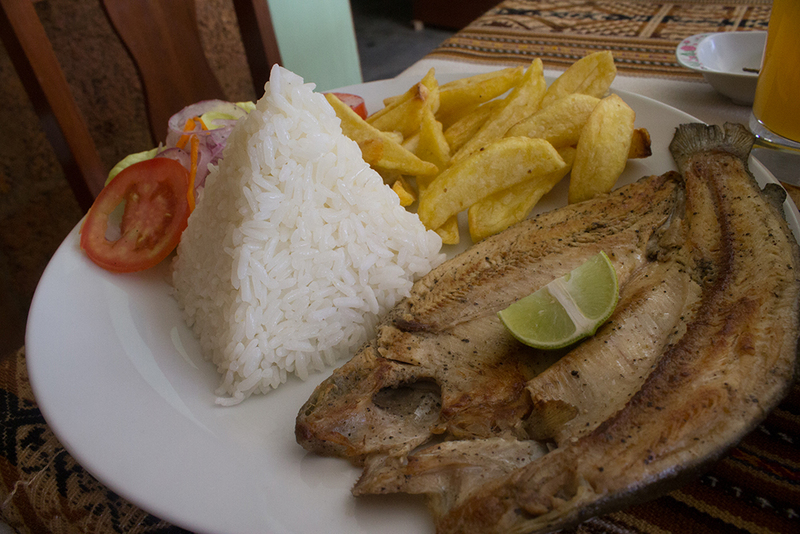 Trucha frita, or fried trout, served with just a simple garnish of lime and some carbs on the side. Trucha a la Plancha, or grilled trout, is commonly found in the rural Andean regions. It’s a very simple, but very tasty meal where the fish is fileted and grilled with lime sprinkled on top. Some rice, potatoes and a token tomato round out this hearty meal. This rice and seafood dish is flavored with a mild red chili and served with a seaweed garnish. Another staple of coastal cuisine, rice with seafood is cooked a bit like a Spanish paella, but with different seasonings, namely the flavorful red chili aji panca. Some cooks also add peas and chopped up carrorts to go with the clams, mussels, shrimp, lobster, calamari and whatever else is on hand. In the southern coastal regions around Lima, arroz con mariscos is served with a handful of Parmesan cheese on top, with the creamy, salty cheese complementing the chili perfectly. 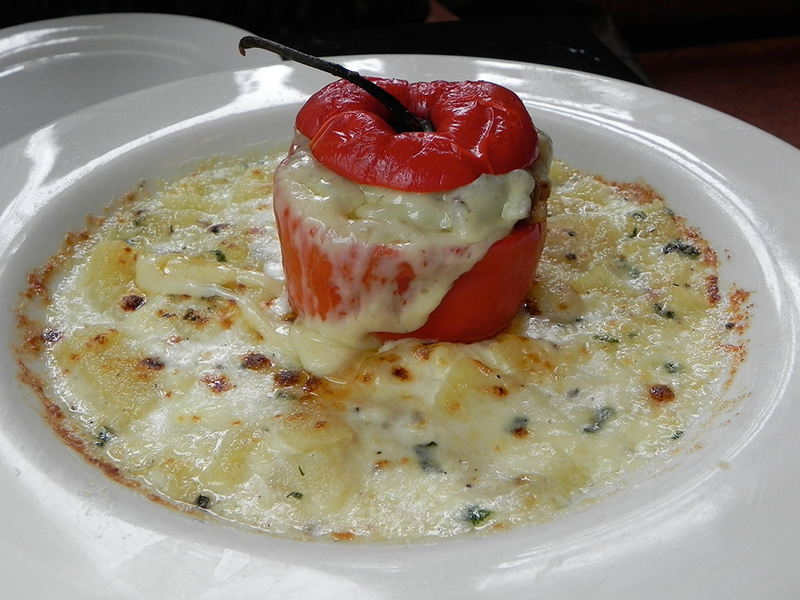 Rocoto relleno is a stuffed pepper from the southern region of Arequipa. If you like really spicy food, then the rocoto relleno is for you. Don’t be fooled by that innocent-looking red pepper. Unlike the sweet peppers from back home, the rocoto is actually very spicy, even cooked and with the seeds removed. However, it’s a pleasant flavor, especially when filled with ground meat, raisins and olives, and then smothered in melted cheese. 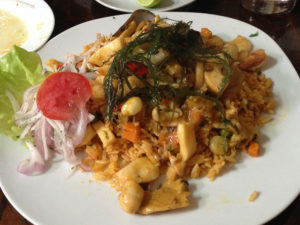 Though it’s available country-wide, this dish originated in southern Andean region of Arequipa. Note: If you are longing for the sweet red peppers from home, they are called aji moron in Peru and are available in markets and some grocery stores. 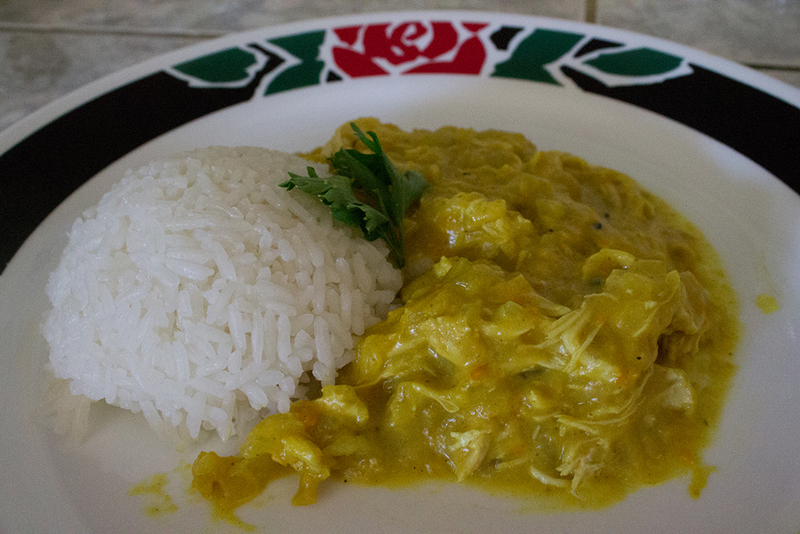 Aji de Gallina, a mild chicken stew served with rice. This mild chicken stew is flavored with a bit of yellow pepper (not spicy this time! ), garlic, onions, ground walnuts and sometimes Parmesan cheese. It’s wonderful as a comfort-food, particularly on cold, misty nights during Lima’s winter months. El Clasico, two sinfully sweet desserts in one. Finally, for dessert we have El Clasico, a double-whammy of sugary bliss all in one bowl. The white part is arroz con leche, which is a rice pudding flavored with cinnamon. 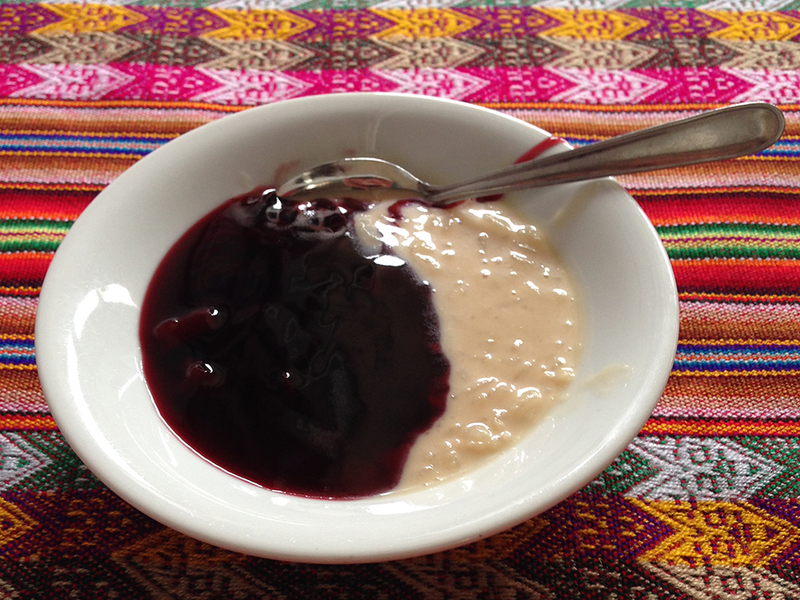 The other part is a pudding called mazamorra morada, which is made from purple corn, dried fruit, cinnamon and a touch of lime. The two puddings combine beautifully, with the slight sour taste of the purple pudding complementing the rich creaminess of the rice. These are just a few of the delicious foods you can try in Peru. If you’ve been to Peru, what were some of your favorites? 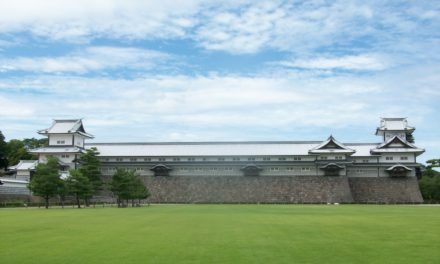 Share your recommendations in the comments below! 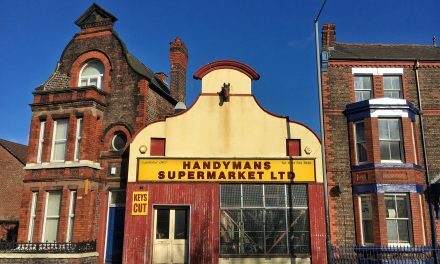 Sophia Guida has been living in Lima, Peru off and on since the beginning of 2012, where she works as a freelance writer/photojournalist and takes every opportunity to explore the areas left out of the guidebooks. You can find her on Twitter, Instagram, and also on her photo blog, photosfromperu.tumblr.com. Glad that Aji de Gallina made the list! It doesn’t look like much but I have never met a plate of it that I didn’t thoroughly enjoy. Maybe it’s too obvious, but the classic lomo saltado is also a must-try. And of course a plate of Tacu-Tacu at lunch is the best way to ensure a long and satisfying carb-hangover until the evening when you can start again!